Supercell’s latest mobile game Brawl Stars has amassed $110 million in player spending since launching globally two months ago. That’s according to Sensor Tower estimates, which reports that Brawl Stars reached this lofty figure in spite of failing to launch in China. 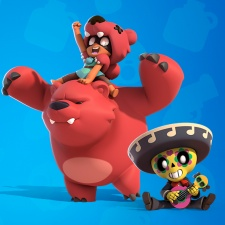 The region has been a strong performer for Supercell’s previous games, but Brawl Stars may currently be caught up in the approvals backlog. The US is thought to be Brawl Stars’ biggest contributor to player spending, accounting for 24 per cent with $26.4 million. South Korea and Japan follow at 14 and 13 per cent respectively. While Sensor Tower claims the game has been downloaded 66 million times overall, Supercell CEO Ilkka Paananen has confirmed more than 80 million people have played the game to date. Brawl Stars has gone from strength to strength. After earning over $10 million in its opening week, the brawler went on to earn $60 million in its first month of release. January spending is estimated to total more than $51 million. While Supercell saw a drop in revenue for the second year running, it looks like Brawl Stars' early success could help turn things around in the coming year. friends, I finally found the site running the trick of brawl stars. try it now.